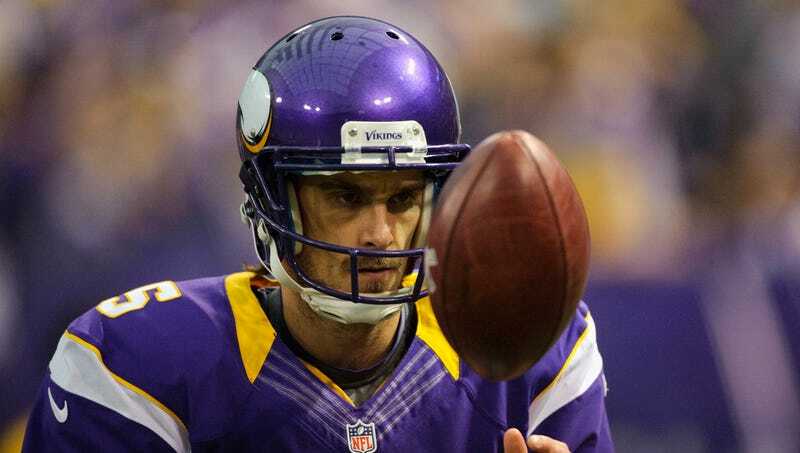 Chris Kluwe, for eight years the punter in Minnesota but better known for things like this, has been released. The writing has been on the wall for a week, since the Vikings drafted UCLA punter Jeff Locke in the fifth round. Over the weekend, the Vikings took their first look at Locke during rookie mini-camp, and apparently liked what they saw. Kluwe met with GM Rick Spielman this morning and got his walking papers. The news was broken, predictably, by Kluwe himself on Twitter, and just-slightly-less-predictably, with a Douglas Adams reference. Star Tribune columnist Chip Scoggins says the Vikings are cutting Kluwe, at least in part, because of his outspokenness. Kluwe has carved out a role as the NFL's loudest gay-rights activist, as well as needling the league on player safety and the legacy of Ray Guy. The Vikings braintrust has expressed muted dissatisfaction with the "distractions," though very clearly stated that personnel decisions would be made solely for football reasons. It's hard to think otherwise: Kluwe is 31, would have made $1.45 million this year, and his performance was solidly mid-table last season. In a salary cap league, younger and cheaper is almost always the order of the day. Regardless, Kluwe has told the Star Tribune that he's not going to censor himself for the sake of finding a job.